The soft flowing curves of the Ravello Sling Ottoman aluminum frame offer a casual elegance. 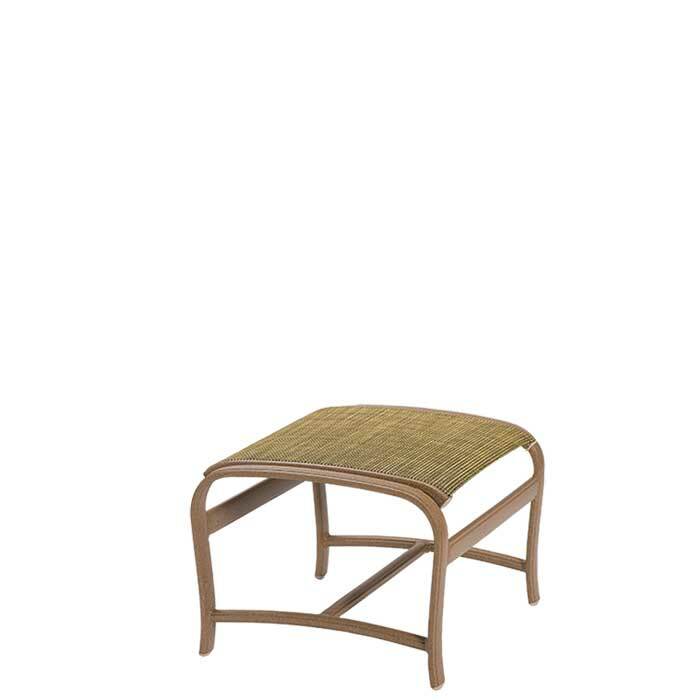 This outdoor ottoman, designed by Robert Mainville, features vinyl-coated polyester fabric for extra comfort and durability. The result is a classic footrest with old world charm.